Oh my goodness me! What a colorful drawing we see! Laura had learned of the Gummy Worm, and colored him perfectly. The Gummy Worm is all smiles, and wants more drawings in piles, so please take a turn and color the worm, so we can share drawings for miles. And when you are done coloring, please send us your Gummy Worm drawing! 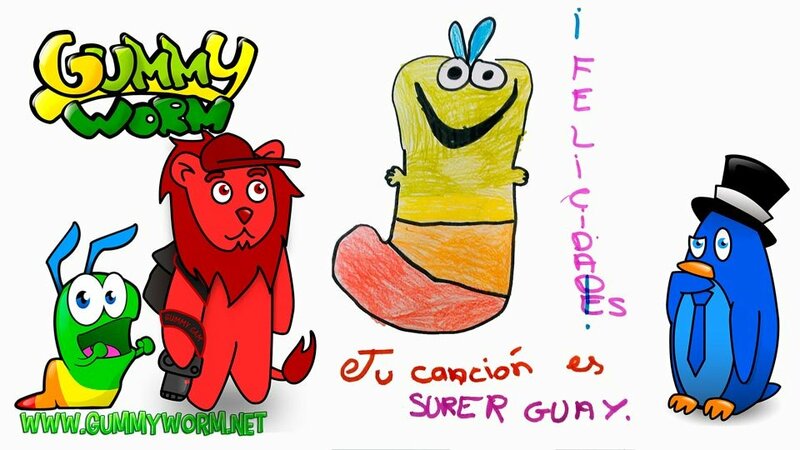 Gummy Worm friends coloring pages.